The idea of pampering yourself seems very indulgent to many people. The truth is that unless you provide yourself with the opportunity to “recharge your batteries” you’re not going to be any good to anybody. How can you keep up being Wonder Mom or Super Dad if you’re exhausted and quick to snap? That’s why it is so important to schedule a little pampering time for yourself. “Time” is the key issue here. Most of us don’t think we have enough hours in the day to get everything done. But what would it look like if you could schedule at least 60 minutes, once a week just for you? That’s not really a lot of time. What could you do in an hour that would be considered pampering? For many Denver residents, a hike among the idyllic trails that line the city is a good way to spend an hour. Then there is shutting the door to your bedroom and enjoying a few moments of quiet time with a good book or your favorite album. If you happen to doze off for a quick power nap all the better. The ultimate pampering experience can happen with a soothing soak in a warm tub. To pull off any of those ideas you’re going to have to be proactive. This means informing your family or anyone you’re sharing your home with that for the next hour you’re going “off the grid.” And yes, that means no cell phones, no Facebook, no Twitter, no email. Just quiet time to yourself. Hopefully you can schedule your pampering time without any stress. Sometimes that might mean getting through your “to do” list of household chores but this is an area where you don’t have to do it alone. In 2013, consider hiring Junk King Denver as the perfect pampering excuse to help you get rid of all your oversized junk items. In this new year, if you had to make a list of all the oversized things you want to throw out what would you include? That ratty sofa down in the basement? The broken washer out in the garage? Those boxes of papers crammed into the closet? Your list can be as long as you want it to be because Junk King won’t have any problem getting rid of it all. That’s because they’ll be sending out a two-man crew to do all the lifting and carrying. They’ll also have a big truck which will absorb every bit of your discarded junk. Once that truck is loaded up, say good-bye to your junk and hello to more free time. What are you waiting for? Let the pampering begin in 2013 with Junk King Denver. This entry was posted in Boulder Junk Removal, Denver Junk Hauling, Denver Junk Removal, Denver Junk Removal Price and tagged Boulder Junk Removal, Denver Junk Removal Services on December 31, 2012 by Paul Durant. Last updated August 1, 2017 . The holiday race is on! No, not the one at the shopping mall but the one where you hope your Christmas tree will outlive the holiday before turning brown or losing all its needles. Hopefully, you know enough to keep that tree watered from the moment you brought it home. In the best-case scenarios, your Christmas tree should last around 5 weeks. After that you’re pushing it! A dried out Christmas tree is not something you want hanging around your home. There are some available Denver municipal services which can pick up the tree but these are typically a “one shot” deal. If you don’t have the tree out when their trucks buzz by then you’ll be out of luck. It makes a lot more sense to make a tree pick-up appointment on around your schedule and that’s just what you can do with Junk King Denver. Junk King is the leading Denver junk removal specialist. At this time of year, Junk King is geared up to handle all kinds of post-holiday junk removal projects. Top of the list is Christmas tree removal. It won’t matter a bit to them how many needles fall of your tree onto the back of their truck. They’re happy to sweep up at the end of every working day. It’s a lot better for those needles to end up on the Junk King truck then the back of your SUV! Keep in mind that you don’t have to hire Junk King Denver just to take away your Christmas tree. Junk King can also clear out all the clutter you’ve built up over the holiday. Things like oversized cardboard boxes and wrapping can certainly build up with a big family. But then there are all the things you might have replaced like bikes, microwaves, televisions, computers and even big piece of furniture. There’s no reason to hang onto all of that old stuff. Junk King can help you make room for your Christmas presents by carting off that junk in one trip. Wouldn’t it be great to start off the New Year with a home that is free of clutter? The same can be said for your backyard. Maybe some of those outdoor holiday decorations have seen better days. If you’re replacing them with the after Christmas bargains then let Junk King help you remove those items instead of putting them back in storage up in the attic or down the basement. Your home space is too valuable to be taken up with stuff you’ll never use again. Let Junk King Denver help you reclaim that space and get rid of all your holiday trash! 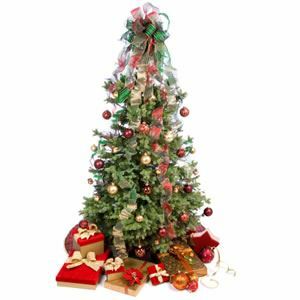 This entry was posted in Boulder Junk Removal, Christmas Tree Disposal, Denver Debris removal, Denver Junk Removal, Denver Junk Removal Price and tagged Denver Christmas Tree Disposal, Denver Christmas Tree Removal, Denver Junk Removal, Denver Tree Hauling on December 20, 2012 by Paul Durant. Last updated August 1, 2017 .